Where have I been? Well it’s the start of “season” in South Florida and that means my job takes over my life. I work for an over (active) 55 country club community and this is the time when the Snowbirds return from the North to enjoy the beautiful weather of South Florida. So, it’s up to me to plan their social fun at the clubhouse. Right now, I’m in the midst of a “Rocky Horror” Halloween Party where the movie will be shown, witches brew will be served and The Time Warp will be performed by our residents. Just the start of many parties and events for the next 6 months or so. 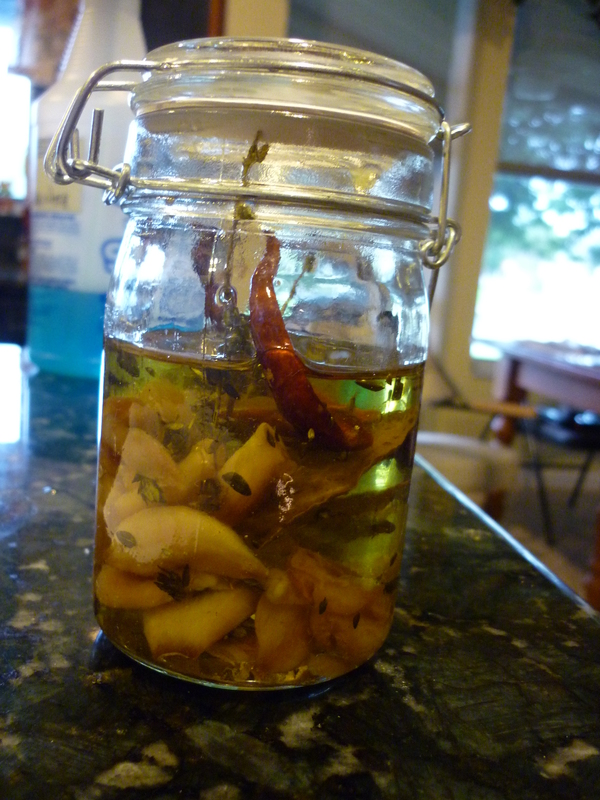 I did have a little time to make some lovely garlic in Olive Oil, so I will share that today. 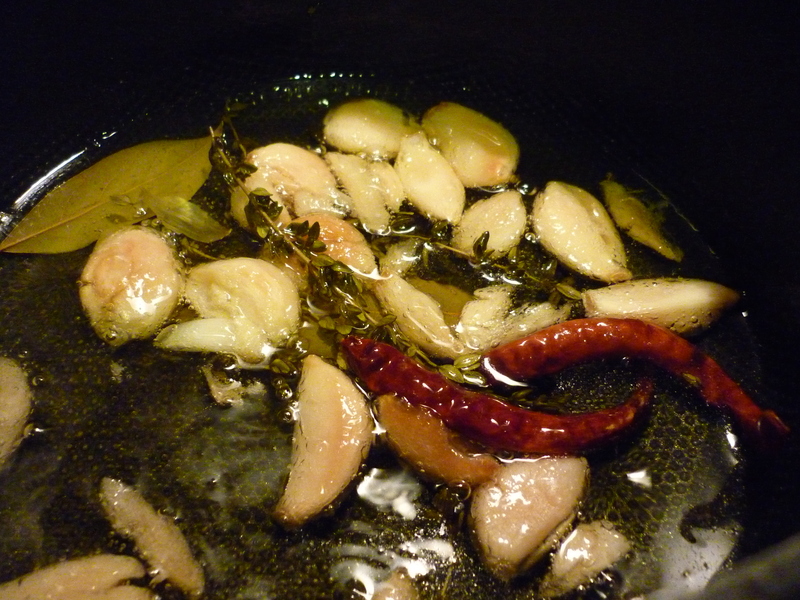 Just take a head of garlic, a dried chili pepper, salt, pepper, bay leaf and a few springs of thyme. Add 1/2 cup Olive Oil and cook over low heat until garlic is soft. Can’t you smell the wonderful aroma? Cooked garlic is sweet and spreadable- perfect to add to fresh bread or a baked potato…or just by itself. That’s it for today folks…I’m off to get ready for work. This entry was posted in Cooking, foodie, Life and Times and tagged Garlic, Halloween, Home, Olive oil, Snowbirds, South Florida metropolitan area, Time Warp. Bookmark the permalink.